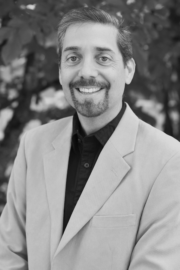 Dr. Charles R. Martinez, Jr. is a clinical psychologist, professor, and department head in the Department of Educational Methodology, Policy, and Leadership at the University of Oregon, where he also directs the Center for Equity Promotion. He served as the University of Oregon Vice President for Institutional Equity and Diversity from 2005 to 2011, and also served as a senior scientist at the non-profit Oregon Social Learning Center where he founded and directed the center’s Latino Research Team beginning in 1999. He has served as a publicly elected member of the Eugene, District 4J School Board and is currently serving as a Governor appointed member of the Oregon State Board of Education representing Oregon’s 4th congressional district. His substantive interests center on identifying factors that promote healthy adjustment for families and children following stressful life events, (e.g. changes in family structure, socioeconomic status, physical and/or emotional health, acculturation, and immigration status), taking into consideration the cultural contexts in which families operate. He has led numerous NIH and internationally funded research projects designed to examine risk and protective factors involved in linking acculturation to education and behavioral health outcomes for Latino children and families and to develop and test culturally specific interventions for at-risk families in the U.S. and in Latin America. His main areas of published work include substantive and methodological topics related to cultural issues in prevention science, Latino education and behavioral health disparities, links between acculturation and discrimination on substance use and academic failure prevention, culturally specific family based interventions, the role of biosocial stress markers on family outcomes, and family process. He is a nationally known consultant on organizational diversity issues, cross-cultural research, and community engagement. He teaches courses in equity, multicultural education, leading for diversity, prevention science, and Latino family health and education. Dr. Martinez has received numerous national, state, and local awards for his work, including the “Community, Culture, and Prevention Science Award” and the “International Collaborative Prevention Research Award” from the Society for Prevention Research. Martinez, C. R., Jr. (2006). Effects of family differential family acculturation on Latino youngsters’ substance use. Family Relations,, 55, 306-317. Martinez, C. R., Jr., & Forgatch, M. S. (2001). Preventing problems with boys’ noncompliance: Effects of a parent training intervention for divorcing mothers. Journal of Consulting and Clinical Psychology, 69, 416-428. DeGarmo, D. S., Forgatch, M. S., & Martinez, C. R. Jr., (1999). Parenting of divorced mothers as a link between social status and boys’ academic outcomes: Unpacking the effects of SES. Child Development, 70, 1231-1245.